Developer Nick Lee posted a video to YouTube showing Windows 95 on Apple Watch. It appears to be more functional than you’d expect. 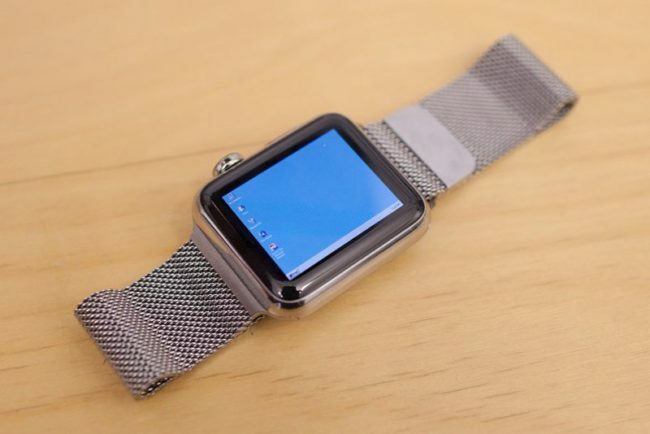 The Apple Watch’s specs are well above of a typical Windows 95 computer. It should be capable of running the Microsoft’s old OS. To get 95 running, Lee had to modify Apple’s development software. That allowed him to essentially turn Windows 95 into a Watch app. Which also emulates an environment for the OS to run on. The result is very slow but impressively functional. Lee says that he altered the Watch’s software to let Windows 95 track a single fingertip. You can try it on your own Apple Watch. The code is on GitHub. Check here for more info on how to Install Windows 95 on Apple Watch.